The Deco Moulding Collection offers the ability to stack profiles, create chairrails and even combine colors to create dynamic, sophisticated looks. A modern color palette offering the look & feel of real wood & metal finishes. Available in 16’ lengths. Deco Mouldings ship via LTL - You will be sent a separate invoice for freight. Freight starts at $110 per LTL shipment to a business with a loading dock. You must provide a physical street address with your order. Our LTL company cannnot deliver to an APO or FPO address, or to a PO Box. Deco Mouldings returns - Deco Mouldings must be returned via LTL in original unopened box. Returns are F.O.B. Buyer and are subject to a 20% restocking charge. 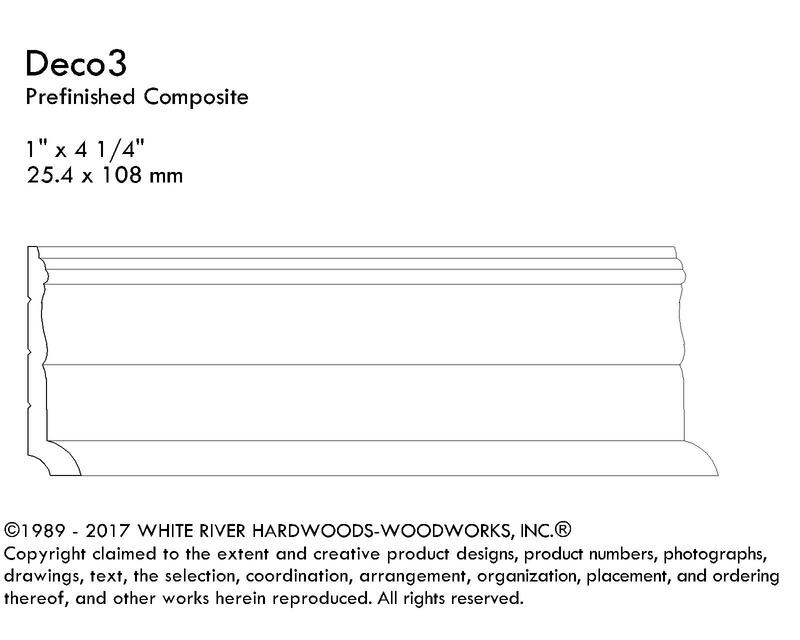 Deco Mouldings Per Piece - Add $35/net repackaging charge for less than one full box.